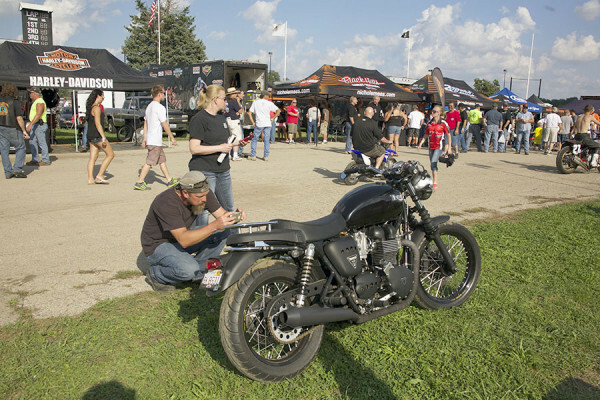 Labor Day weekend is the traditional time for the 2nd Springfield Mile AMA Pro Flat Track racing event of each season. It is the only venue that hosts 2 races each year, held at the Illinois State Fairgrounds race track. 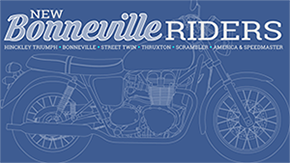 At the generosity of Bill Gately, owner of Bonneville Performance, and the Bonneville Performance Factory Triumph AMA Pro Flat Track team, I was able to be a pit crew member. My functions was to record the events of the day in photos, and to post updates in social media, and update the blog posts on the website. 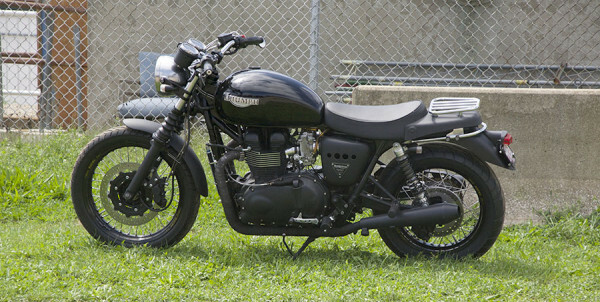 My Bonneville parked in the paddock area across from the Bonneville Performance pit. 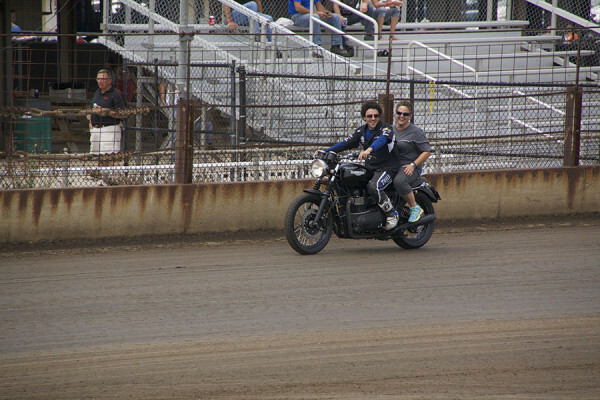 Mikey Martin #91 takes Christy Cottrell around the Springfield Mile on my Bonneville. 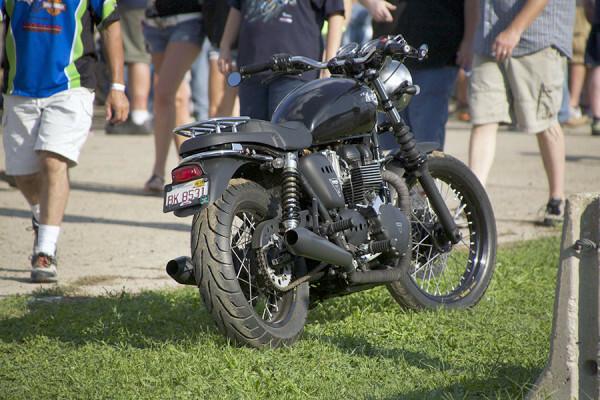 Parked again in the Paddock area after the “I Rode the Mile” event. 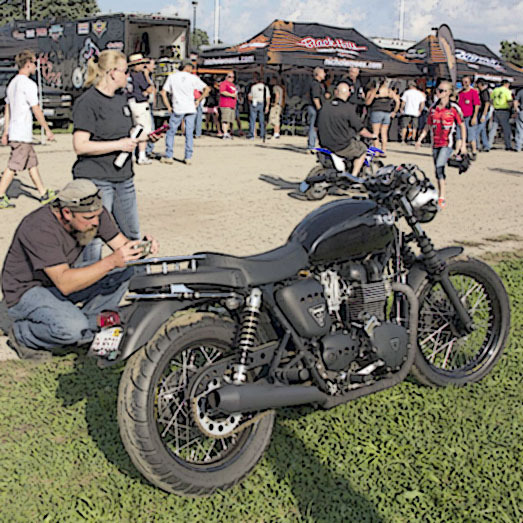 The Bonnie received a lot of attention like this during open paddock.